A group of men confronted the woman on her balcony and apparently forced her to chant 'Bharat Mata Ki Jai'. 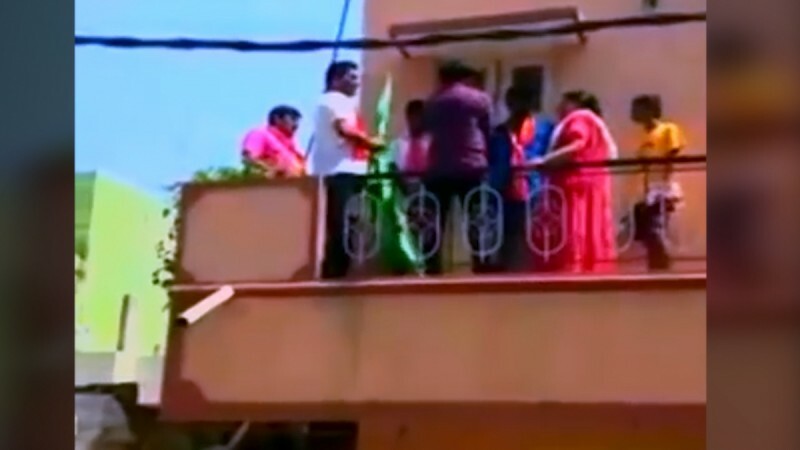 A woman in Bengaluru was targeted by Bharatiya Janata Party workers for having an Islamic flag hanging outside her apartment in Bommanahalli. According to a video captured by Times Now, a group of men confronted the woman on her balcony and apparently forced her to chant 'Bharat Mata Ki Jai'. The men were seen on the balcony of the woman's residence trying to remove a green flag. Most of them have saffron coloured scarves around their necks. Saffron is often associated with the BJP. After forcing the woman to remove the flag, the men also made her chant 'Bharat Mata Ki Jai'. It is not yet known if the woman has filed a complaint against the men. The report claims that the video could have been given to the police who will be able to take suo moto action. However, it is not known yet if the police have taken action or not. 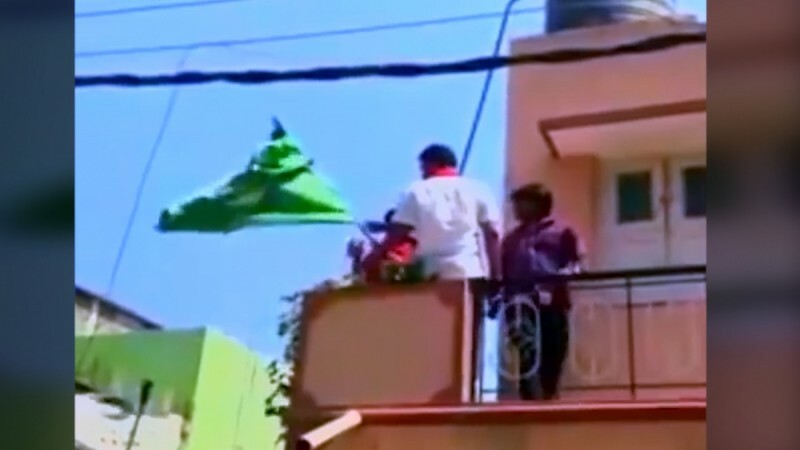 Corporator of Bommanahalli Mohan Raj while canvasing for Bangalore South candidate @Tejasvi_Surya intimidates Muslim residents over religious flag. Forcibly removes the flag and askes woman say 'Bharat Mata Ki Jai'. This incident has occurred at a time when campaigning for the Lok Sabha elections has reached a fever pitch and no stones have been left unturned by politicians to take shots at each other. In March 2016, RSS chief Mohan Bhagwat had said that no one should be forced to chant "Bharat Mata Ki Jai". He had made this comment after he was caught saying that every Indian should be taught the slogan. Making a complete U-turn, he said, "We have to create such a great India where people themselves chant 'Bharat Mata ki jai'...We don't want to force anyone... it need not be imposed." According to a report by Scroll, he added, "[Indians have] to show the way to the people of the world with our life and deeds. We do not want to win or defeat anyone. We don't want to impose our ideology and thoughts on anyone. We wish to show them the path because we accept them as our own."